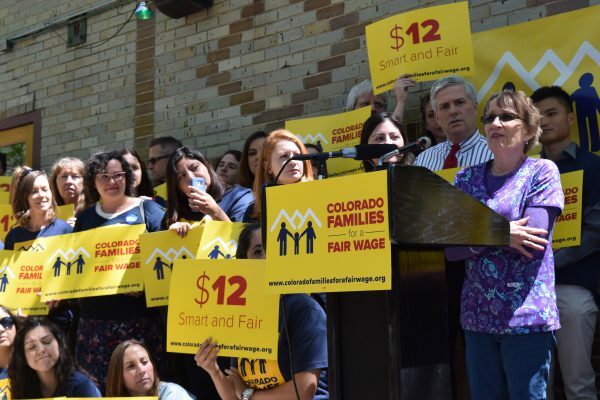 Ballot Initiative 101 would gradually raise Colorado’s minimum wage to $12 an hour by 2020 (thefairnessproject.org photo). This Labor Day there’s a lot of talk about protecting the American worker from cheap immigrant labor (both legal and illegal) and raising wages to keep up with the pace of the recovering (recovered?) economy. GOP presidential hopeful Donald Trump and Democratic socialist Sen. Bernie Sanders, both anti-establishment mavericks, stirred up a lot of that talk. In case you missed my recent reporting on these topics, check out my story that posted Sunday on the Vail Daily website and included an interview with Vail Mayor Dave Chapin about the importance of the Mexican tourism market, the potential economic damage of Trump’s “threatening” anti-Mexico rhetoric, and the need for comprehensive immigration reform. Chapin added a new element to versions of the story I wrote for the Colorado Statesman, RockyMountainPost.com and RealVail.com. Vail, the nation’s most popular ski area, has long depended on seasonal immigrant labor and foreign workers to function as a resort. I’ve been writing about this topic for at least eight years. For Trump, putting the needs of the working people first does not necessarily include increasing their paychecks by significantly upping the federal minimum wage above its current and largely lampooned rate of $7.25 an hour. Or maybe it does. He has flip-flopped furiously on the topic. Colorado’s Initiative 101 proposal would steadily increase the state’s $8.31 minimum wage to $12 an hour by 2020, essentially raising it 70 cents an hour every year until 2020. Vail Resorts last year hiked its starting wage to $10 an hour, and some say a company should be allowed to set its own wages at its own discretion. Other business leaders say mandates are a necessary evil. 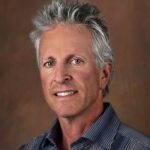 Check out my previous reporting on the minimum wage debate heading into the Nov. 8 election on RockyMountainPost.com and the Colorado Statesman. Finally, an update on my recent reporting on the status of two proposed ballot initiatives that would have increased local control (towns and counties) over oil and gas drilling, which is regulated primarily by the state, and established a new setback for drilling operations of 2,500 feet away from homes, public building and water sources. Both initiatives failed to get enough valid signatures to land on Colorado’s Nov. 8 general election ballot, although proponents are considering appealing. U.S. Rep. Jared Polis, a Democrat who financially backed the local-control question, says the ballot battle over fracking won’t go away until the Colorado Legislature decisively deals with the heated issue. 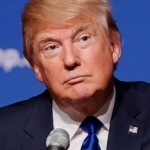 Trump, whose immigration stance seemed to softening with a visit to Mexico last week but then just as quickly stiffened with an anti-immigrant rally in Arizona, also has flip-flopped on the topic of greater local control over oil and gas drilling. Trump’s top energy advisor recently walked back Trump’s earlier comment in Colorado seemingly supporting local control, according to The Wall Street Journal. The advisor said Trump did not fully understand the question when asked about it by 9News. That comment was later written off as energy ignorance by Trump energy advisor Harold Hamm.